While the engine is being cranked, the positive battery voltage is applied to terminal sta of the ecm. 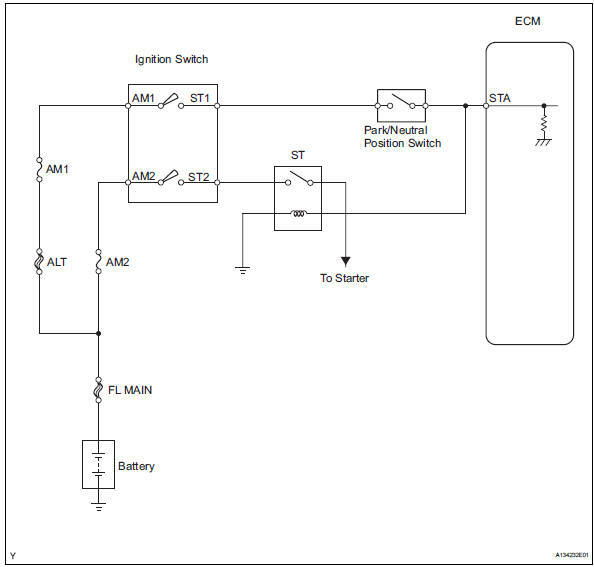 If the ecm detects the starter control (sta) signal while the vehicle is being driven, it determines that there is a malfunction in the sta circuit. The ecm then illuminates the mil and sets the dtc. The following troubleshooting flowchart is based on the premise that the engine is cranked normally. If the engine will not crank, proceed to the problem symptoms table (see page es-24). Disconnect the b26 pnp switch connector. Measure the resistance when the transmission gear selector lever is moved to each position. 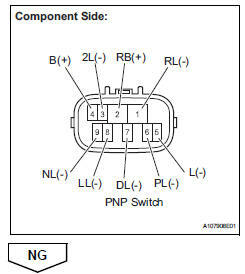 Reconnect the pnp switch connector. 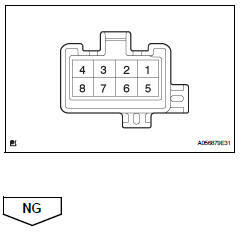 Disconnect the e3 ignition switch connector. Reconnect the ignition switch connector. Drive the vehicle at more than 20 km/h (12.43 Mph) for over 20 seconds.